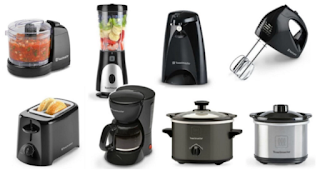 Right now at Kohl's select Toastmaster Small Kitchen Appliances are on sale for $16.99 (Retail $29.99). Plus, you can submit for a $12 Visa prepaid card Mail-in Rebate when you purchase these small appliances – limit 5 rebates per product per household. Keep in mind that you will also earn $10 in Kohl's Cash with your $50 purchase and that you can choose in store pick up to avoid shipping costs.